US Internet giant Yahoo announced yesterday that it has opened a global research and development (R&D) center in Beijing, tapping into the country's deep pool of engineers and scientists. The facility, one of Yahoo's three global R&D networks, will focus its research on search, advertising, cloud computing and other personal Internet tools and technologies, said Jeff Kinder, senior vice-president, Yahoo Media Products & Solutions. The R&D center will also focus on developing Yahoo's core platform globally, Kinder said. The company, however, declined to disclose the investment figure for the new facility and the number of people it planned to hire. The new center will be operated independently from the Alibaba Group, which controls Yahoo's operations in China. "It is worth noting that the new center is independent of Alibaba," Kinder said. Yahoo owns 39 percent of Alibaba, the country's biggest e-commerce portal. "The primary reason (for us to set up the center here) is the deep pool of engineers and scientists the country has. We will also optimize our cost structure," Kinder said, when asked if the low-cost of Chinese labor was the chief reason behind its decision to set up an R&D center here. "The new R&D center is another example of Yahoo's long-term commitment to engage with the Chinese technology community," Aristotle Balogh, Yahoo's chief technology officer, said in a statement. 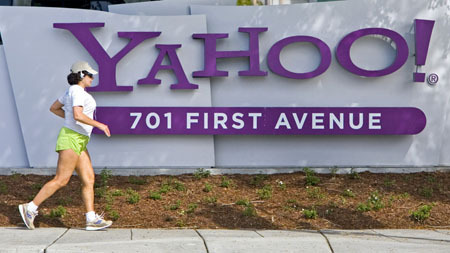 Before the establishment of the Beijing center, Yahoo had two global R&D centers, one in its US headquarters and the other in India's Bangalore. The Beijing center will mainly do "science-driven engineering work", according to Zhang Chen, head of the center. Yahoo's China operations are run by Alibaba, which also runs the country's top online auction site taobao.com and Alibaba.com, a platform for business-to-business e-commerce. Relations between Yahoo and Alibaba, however, have soured since its new Chief Executive Carol Bartz took office earlier this year, media reports said. Yahoo has been taking a series of measures to turn the company around since Bartz came to power. The 60-year-old executive has revamped corporate organizational structure, replaced executives and cut costs including slashing 5 percent of the workforce.